Several forums that I belong to have a thread where members show off their pets. I thought it might be fun to have one here as well. I will get it started. 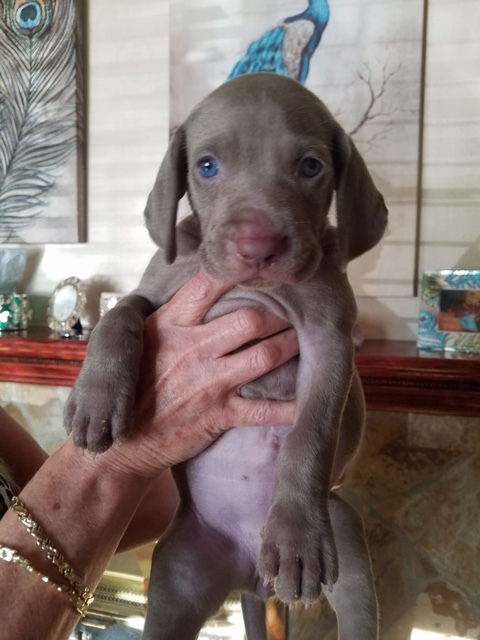 We adopted a new Weimaraner puppy in mid August. Meet Chloe. The first picture is when she was 6 weeks old and still with the breeder. The 2nd photo is from last Saturday at 5 1/2 months old. Squire wrote: Beautiful child Phil. Chloe is grand looking dog, Phil.....nice name too! fallingwickets wrote: Chloe is grand looking dog, Phil.....nice name too! Thank you Clive! She definitely keeps me on my toes. I am having a blast with her. Here's old Scratch. The first photo was 8 years ago when he was young and skinny. The second one is this year, now that he's 16 he likes to sleep about 20 hours every day. He's fatter now too. Last edited by brothers on Mon Jan 22, 2018 7:24 am, edited 2 times in total. Chloe is beautiful. And my granddaughter's name. Sam wrote: Chloe is beautiful. And my granddaughter's name. Thank you Sam! I have always liked the name Chloe. She's a pretty dog Phil. It just now occurred to me that she's jumping into the water wearing some type of padded saddle with handles? Does that impair her natural ability to swim? likes to sleep about 20 hours every day. He's fatter now too. brothers wrote: She's a pretty dog Phil. It just now occurred to me that she's jumping into the water wearing some type of padded saddle with handles? Does that impair her natural ability to swim? Thank you Gary. 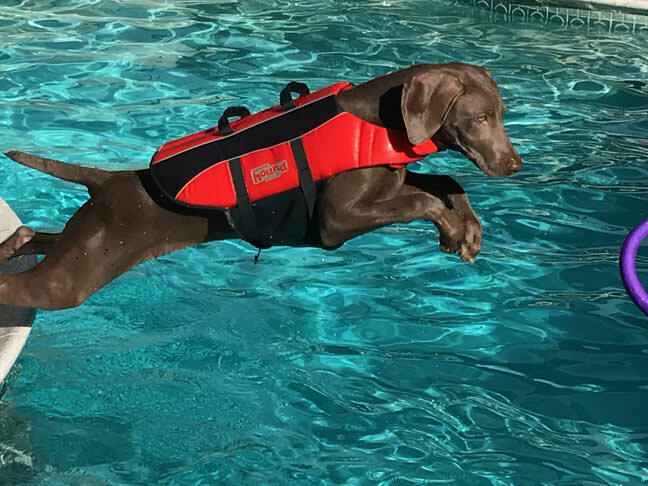 It is actually a dog life vest. It basically just aids in keeping her back end up while swimming. I want to teach her to paddle board with me in the ocean and she will have to wear a life vest when we do so. So, I am getting her used to it early. brothers wrote: Here's old Scratch. The first photo was 8 years ago when he was young and skinny. The second one is this year, now that he's 16 he likes to sleep about 20 hours every day. He's fatter now too. Wow...16 years old is pretty impressive. Scratch looks like a happy cat. Italian water rescue dogs wear a harness, sometimes over a vest like that. Truly amazing what they are capable of. Phil and Janus, thanks for the good information. I had no idea! Since Photobucket quit hosting for free, I don’t have a hosting service. Can we post pictures directly here? Jim, I use Postimage. As far as I know, posting directly to the SMF Gallery was discontinued in 2013. Gareth, I'm still trying to get my mind around this. I think I've got it figured out. Some folks these days idolize animals, even to the point of referring to themselves as "parents" of said animals. To each his/her own, and YMMV, always. Bottom line, the lucky dog whose human daddy is wearing Trumpers can now enjoy his or her very own matching fragrance following bath time when they venture out and about. So far, we have one dog and one cat. Evidently Phil and I are the only two guys who have a furry pal worthy of public exposure. Gary, I agree that some pet-owners become rather overly attached to their furry friend. Our own dog is so completely domesticated, I do wonder from time to time how on Earth he would survive without us (or another human being) providing for his every need. I don’t think I’ll be rushing to Trumper’s for a bottle of Dog Wash any time soon, though.